The Mayor's Cup Regatta and festival in Plattsburgh is only about a month away. It’s one of the city's most highly anticipated summer traditions. The four-day celebration includes the boat parade of lights, the regatta itself which is a series of boat races and a post-race barbeque. There will also be several local bands performing live along with several activities for the entire family. 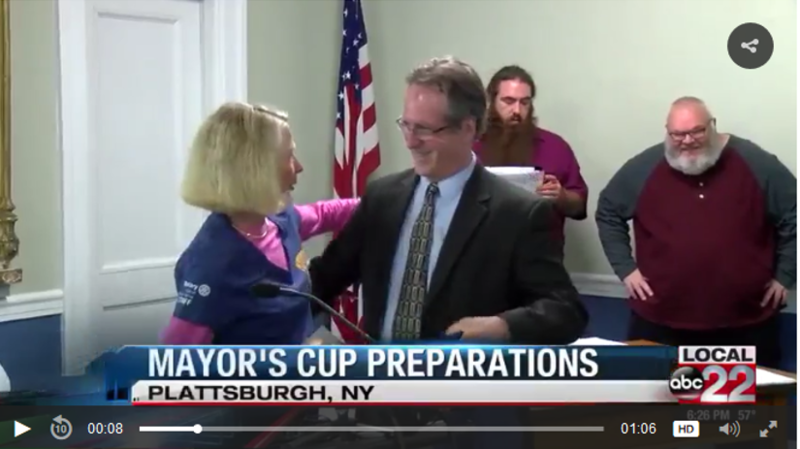 “They are going to make this a mayor's cup that you may have recalled from many years ago, festivities are actually going to be beginning as early as July first for this to celebrate Canada’s 150th birthday", Said Plattsburgh Mayor Colin Read. For the first time in several years the Adirondack regional theatre is taking part, presenting Disney’s “Alice in Wonderland Junior”. "There is no doubt that the mayor's cup is more than just a celebration in the city.” Said Town Supervisor Michael Cashman. “It is a tradition in the north country that pulls people from downtown, uptown and the entire region and beyond"
Local 22 is a proud sponsor of the Mayor’s Cup Regatta.